I was reading an article the other day that argued with the increase in tech-savvy brides, more are eager to purchase their wedding flowers over the internet... Uh, what? I have to counter that not everything can be purchased on Amazon (say it ain't so!). For those that find wedding planning fun (which I hope are most of my brides), meeting with your vendors is the best way to be reassured that you're going to receive the product you want! It's also important to find out if you mesh with someone before you sign. You'll be working with them quite a bit (or your planner/coordinator will) and being able to clearly understand one another and feel comfortable stating your style and your preferences are key. Now if you're not local, phone consultations are definitely an option, and highly recommended. With us, consults usually run 30 minutes to 1 hour, and we cover your wedding day details, what you actually want to order, sizes and colors, potential additions, working with your budget, and sometimes even hammer out design ideas that don't have anything to do with flowers. 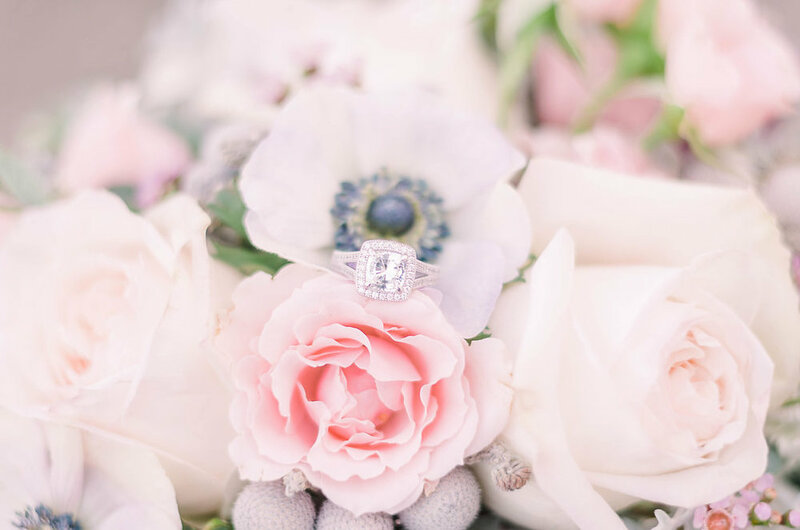 Even if you don't care what flowers will be used, but just want it to 'look like this,' there are still lots of details we can get to make sure you're a happy, beaming bride on your wedding day. 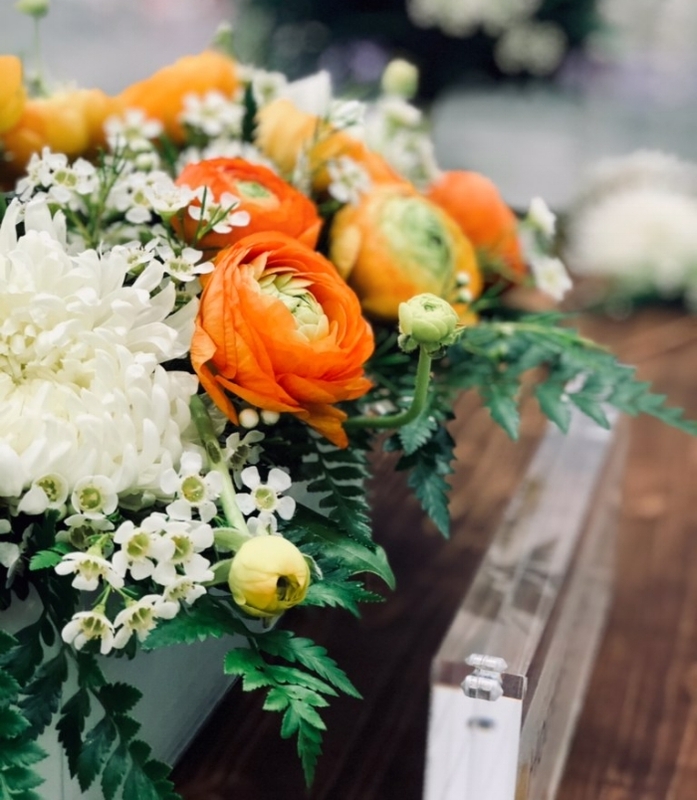 There's an article found here on Wedding Wire that succinctly highlights the work a florist does when they are hired for a wedding or event. What they forgot to mention, is that you don't have to rely on a family member to stress over making a bouquet or centerpiece by watching Youtube tutorials and trying to store them in their refrigerator. When in doubt, hire out! (and meet for a consultation). 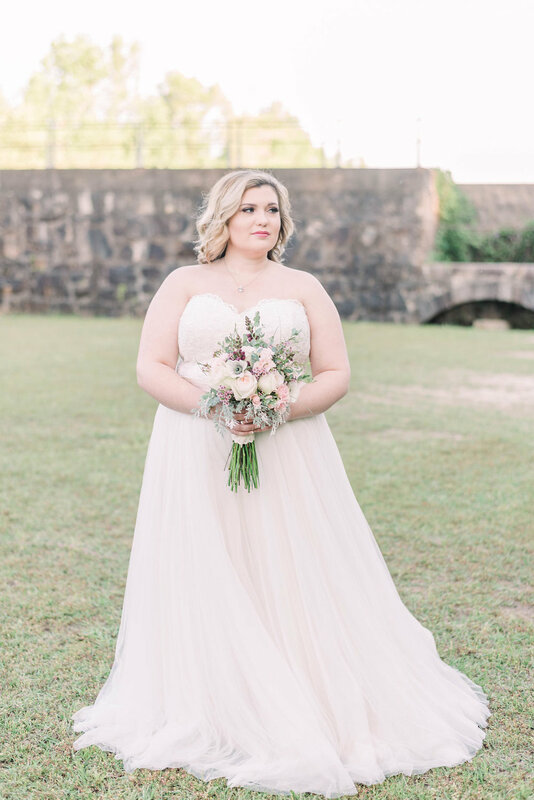 A few weeks ago I was asked to design a bridal bouquet and boutonnière for a styled photo shoot at Savannah Rapids, in Augusta, GA. Little did I know, I would be working with a real couple! Ohara & spray roses, anemones, wax flower, gunny eucalyptus, bear grass, and dusty miller & snapdragons from my garden. I loveee adding in home-grown elements! 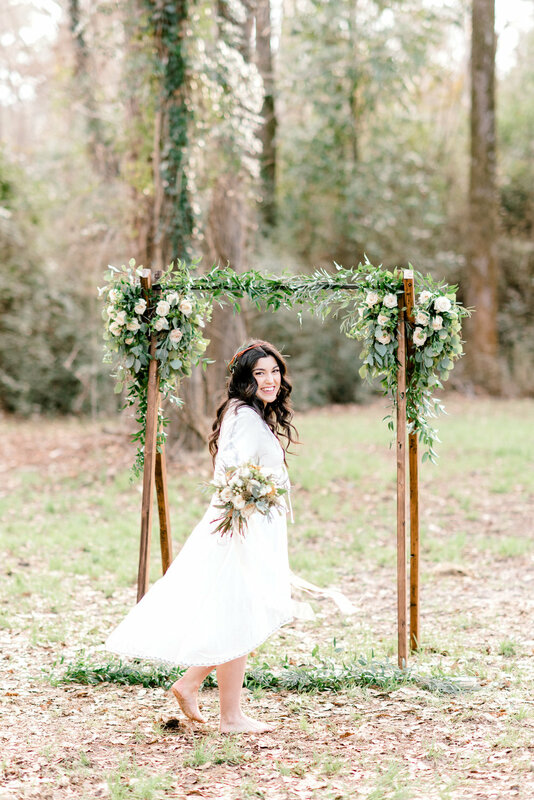 Last month the Honeycomb team trudged into Hitchcock Woods in Aiken, SC for an afternoon of styling with Dailey Alexandra Photography and Baked by Lex. We ran around in the mud (aka horse poop) for about 3 hours while Dailey brought my floral designs to life with her gorgeous photography. Shoutout to Alexis for running around barefoot in that as our model, and to all the equestrians we confused with our 'pop up wedding' in the middle of their trails. This day was one for the books. 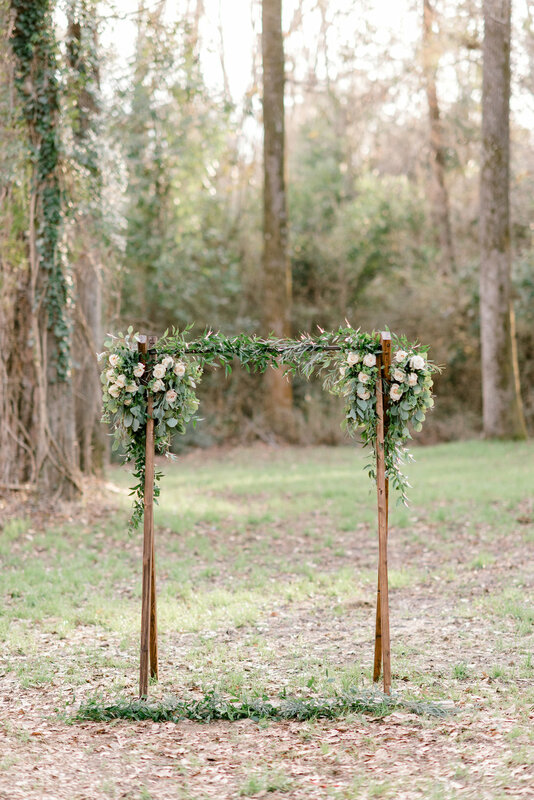 Whose idea was it to fashion a real-wood arch, sweetheart table and its fixings, bouquets and arrangements and lug all the supplies about a mile into the woods? Certainly not I........... (sarcasm goes here). I am oh-so-thankful my husband knocked some sense into me and talked me out of carrying our 6-seater pine dining table back there! Although that might have been selfishly motivated on his part.... hmm. Moving on. 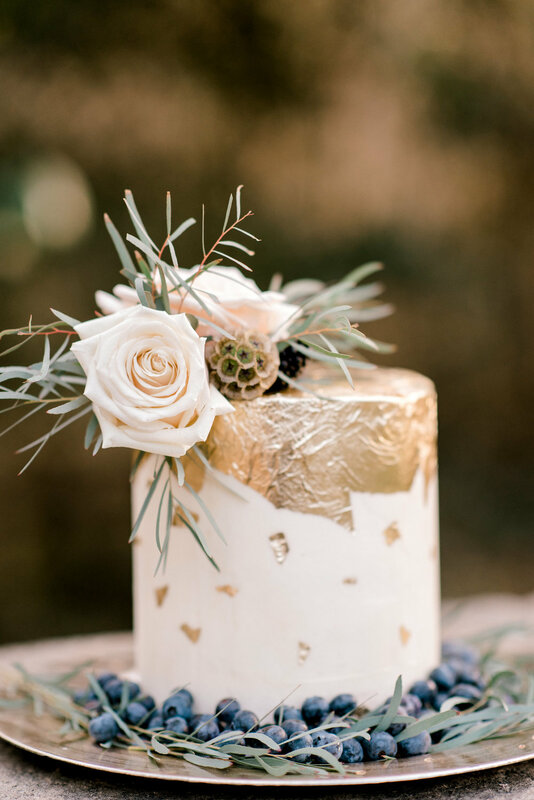 Scroll through to see the vintage-inspired, woodland wedding scene. 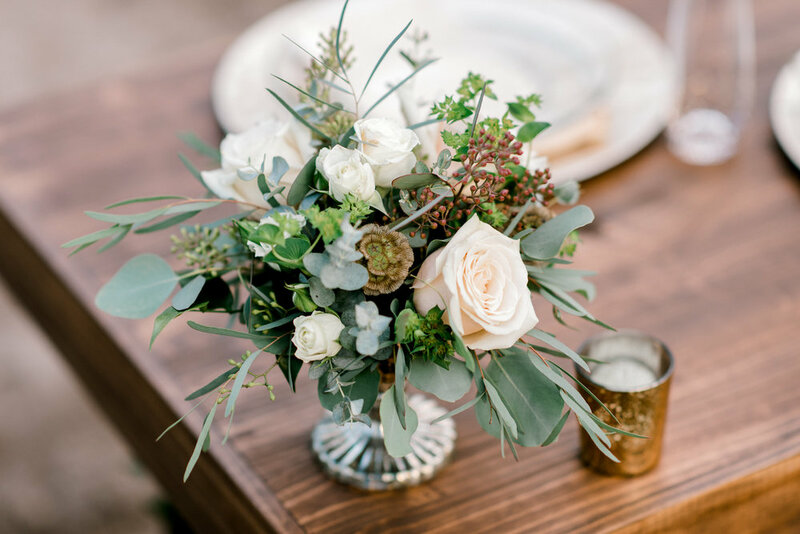 Wondering what working with a dedicated florist for your wedding is like? Read below to see what to expect as a Honeycomb Bride! 6-12 Months from your date: Consultation and proposal delivery. We will meet or speak on the phone to go over your vision of your wedding flowers. I’ll deliver a proposal to you within 72 hours of that meeting that includes a description of the items you may be ordering and the estimated cost. 25% of your total balance is due at the time contract is signed. This will reserve your date and ensure that I am all yours for the week of your wedding! 6 Weeks Out: Review order and determine adjustments. Maybe you added an extra bridesmaid and need another bouquet; perhaps the guest list just keeps growing or you would like runners instead of round centerpieces, etc. This is the time when we will meet either in person or over the phone to review the original proposal and determine if any changes need to be made. 4 Weeks Out: Final Payment Due. This is the latest date to make a payment. I start preparations about one month before your wedding, and need to place the order for your flowers about two weeks prior. After that, it will be up to what the wholesaler has on-hand. (Don’t worry about this part, they have a TON of gorgeous blooms, but we want to make sure to order the specifics you’ve requested). Your Wedding Day: Delivery. I deliver your order and set up any installations. We (briefly) swoon over your day. I may stay around to help move items from the ceremony to reception space, if we’ve arranged that. 1 Week Post-Party: Rental return. This won’t apply to everyone. If you have chosen to rent larger items like an arch or wall from me instead of buying them, we will need to arrange the return of those within one week of the event. At any time: Text me, email me, call me. I aim to have transparent business practices and be available to my clients. You won’t bother me, I promise. I get it, there can be hundreds of options that come up as you look for a wedding florist. 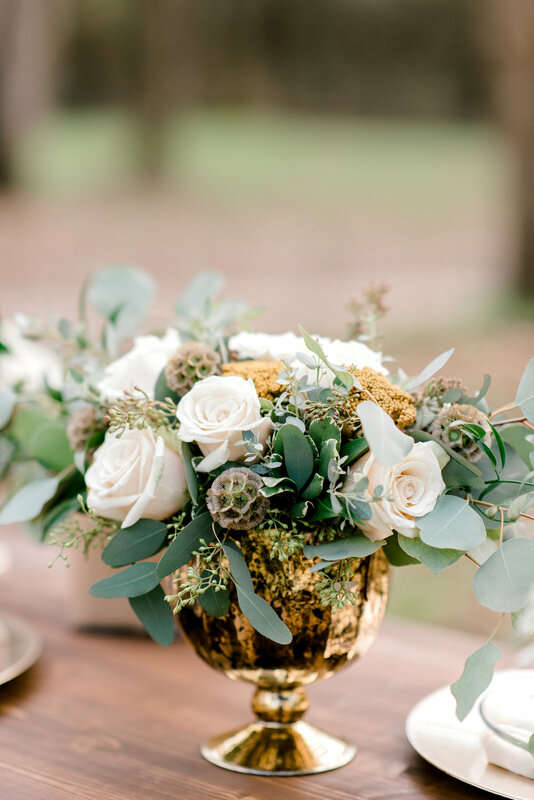 I've listed below (I love lists) a handful of ways Honeycomb Florals helps take the stress out of this part of your wedding. Without further ado- Why Honeycomb? The Experience. 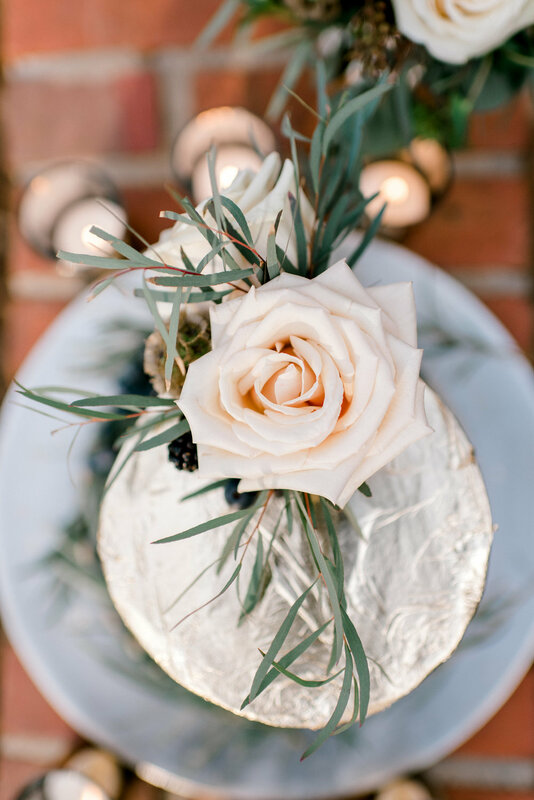 You will receive a one-on-one consultation, a personalized proposal with floral vision “recipes” to see how your ingredients might look together, contact throughout the process, fresh designs and products, with clear and fair prices. The Creativity. 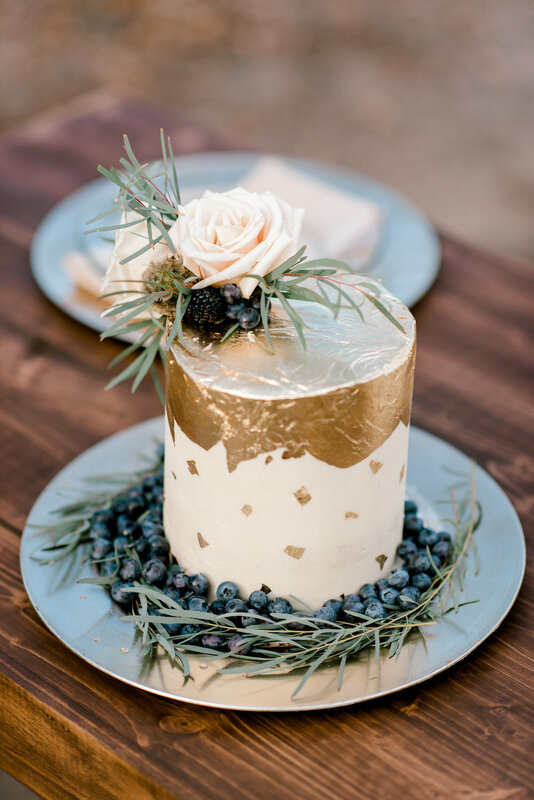 No matter our level of DIY, we have all scrolled through Pinterest looking at wedding ideas. You found something you want to execute, but don’t know where to start? Great! You didn’t find anything, but have ‘this one idea…’? Even better. 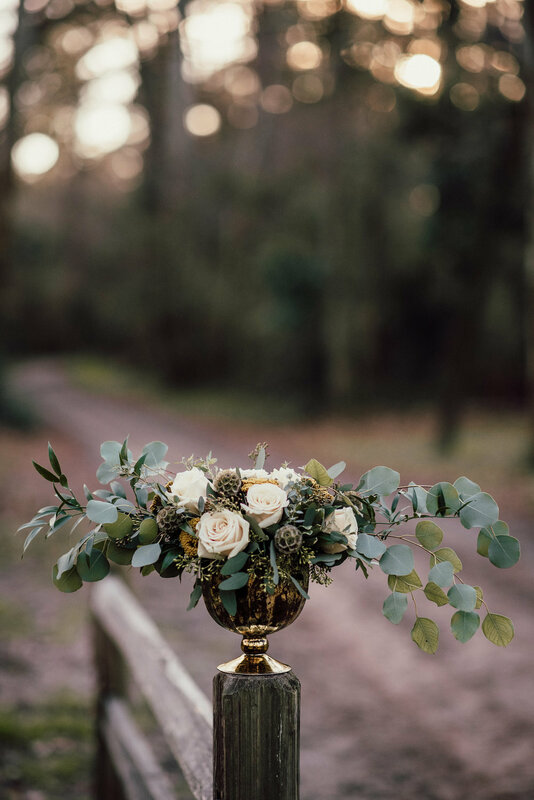 I have a unique, nontraditional approach to design, and love attempting to create something new with flowers and greenery. The Details. I am a recovering perfectionist, but that won’t stop me from executing your vision with an unsurpassed attention to detail. I only book 2-3 weddings per month so that I can give your event the care it deserves. The Attention. I am available to my clients and respond promptly to questions, concerns, ideas, maybe you need to vent, maybe you have changes to your order, etc. Call me, Beep me, If you wanna reach me (Kim Possible, anyone?!). The Value. Floral design is my passion, but weddings are not a way to show off my work. My designs are there to accent you, not the other way around. Contact us with any questions, or to set up your (free) consultation!